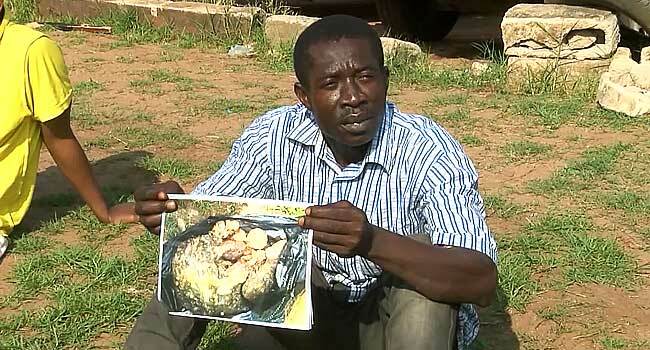 Officials of the Nigerian Security and Civil Defense Corps (NSCDC) in Imo State, have arrested a 33-year old man for allegedly selling poisonous meat to the public in Owerri the capital. The suspect, Chiwendu Iwuamadi from Aboh Mbaise Local Government Area is alleged to have been selling meat certified by veterinarians to be infected with tuberculosis and unfit for consumption. While parading the suspect at the NSCDC command headquarters in Owerri, the state commandant, Raji Ibrahim, said Iwuamadi secretly exhumes the condemned meat after it has been buried, washes it thoroughly and sells. The command also paraded suspected oil thieves who were carrying a trailer load of 2,000 litres of adulterated diesel, carefully concealed in polythene bags.